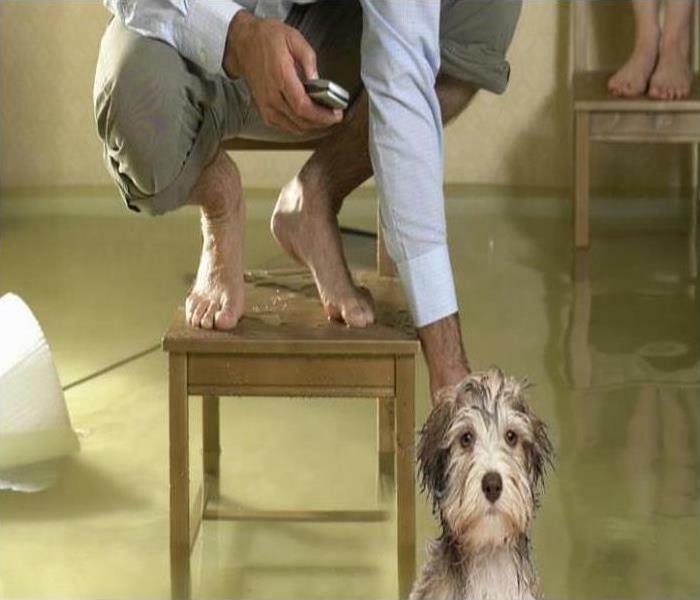 Residents: We Specialize in Flooded Basement Cleanup and Restoration! The bottom line: a flooded basement can jeopardize your health, safety, and your home’s integrity. 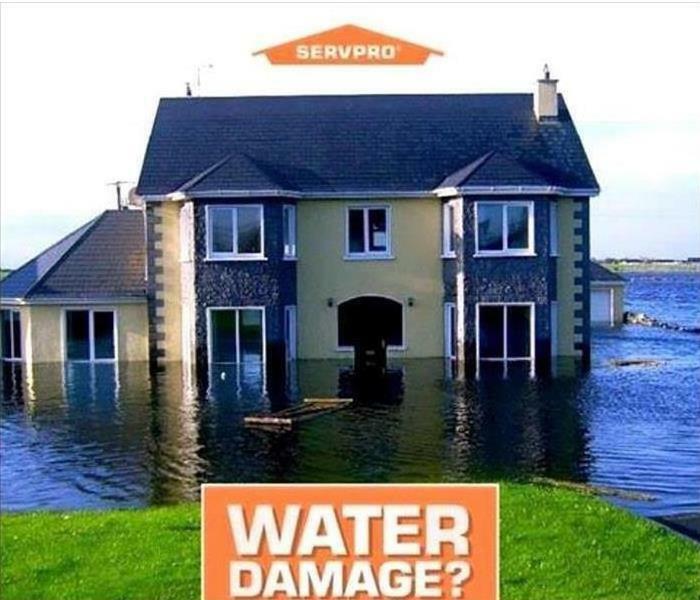 It’s worth making a call to SERVPRO of Duluth and let our trained, professional crews handle the situation safely and correctly. We have earned the trust of hundreds of homeowners, business owners, and property professionals. Mold is found everywhere, indoors and outdoors. It is part of the natural environment. It’s usually not a problem, unless it starts to grow indoors. Molds produce and release millions of spores small enough to be air-, water-, or insect-borne. Fix the source of the water problem or leak to prevent mold as soon as possible. Clean and dry any damp materials and furnishings within 24-48 hours to prevent mold growth. Do not install carpeting in areas where there is a perpetual moisture problem such as basements, kitchen etc. The best way to find mold is to look for signs of mold growth, water staining, warping, or to follow your nose to the source of the odor. This year for National Preparedness Month, join your community in preparing for emergencies and disasters of all type, and leading efforts to encourage the community to become more prepared. When a disaster happens, not only it devastates individuals and neighborhoods but the entire communities, including businesses of all sizes. We must work together as a team to ensure that our families, businesses, places of worship and neighborhoods are ready. At Ready.gov/business, companies can find vital information on how to begin preparing their organization and addressing their unique emergency. You can also contact your local SERVPRO to find out more on how to ready when a disaster strikes. If you’re in the Norcross/Duluth area you can contact us 770-858-5000. Flooding and water damage events at Gwinnett County commercial properties are often complex with numerous issues that require a knowledgeable and flexible response. Whether we’re dealing with a relatively small water cleanup scenario or a large-scale event, we work quickly to assess each unique situation and isolate the damaged area. In many instances, normal operations can continue in a temporary space while we restore your facility. 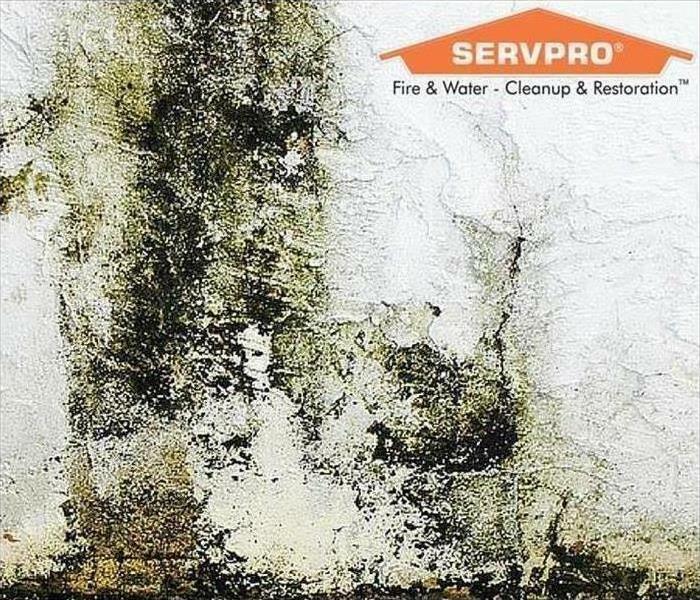 SERVPRO of Norcross specializes in the cleanup and restoration of commercial and residential property after a water damage event. Our staff is highly trained in property damage restoration. From initial and ongoing training at SERVPRO’s corporate training facility to regular IICRC-industry certification, rest assured our staff is equipped with the knowledge to restore your property. Commercial water damage presents double trouble to you as an owner and employer. Not only do you need to recover your premises, equipment, and inventory from the effects of leaks or flooding, you also have employees and customers who rely on you to keep your business running even while restoration efforts are in process. SERVPRO works closely with our commercial clients to avoid closure or a shut down even after a significant water crisis to your warehouse or other storage facility affects your business. We highly encourage business owners to consult with us before any warehouse water disaster. By developing an Emergency READY Profile, you can pinpoint all critical information about your operation into a plan. Once finished with that plan, the information can be shared with, and will be easily accessible to our local water damage restoration experts. Preventing commercial water damage in your workplace may not be possible. For instance, if heavy storms or flooding affect your warehouse, some damage might be unpreventable, but that is where SERVPRO will help! 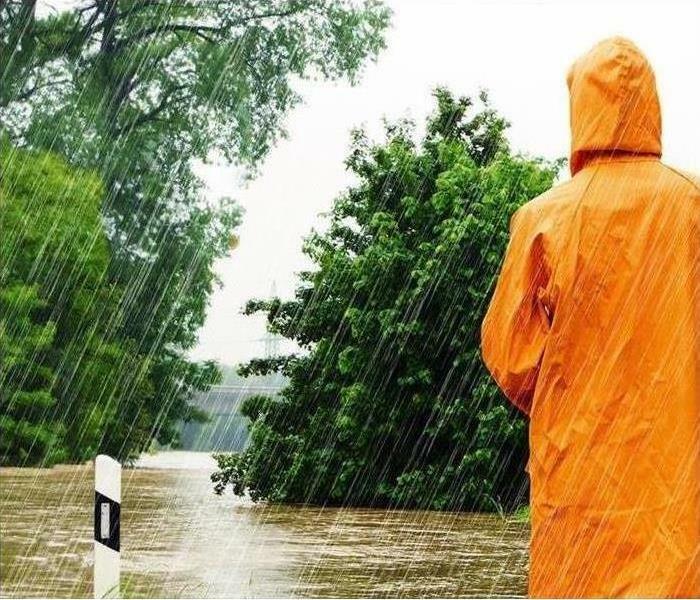 A systematic review of your preparedness can limit the effects of inevitable leaking, moving, or standing water to your bottom line. Take advantage of our training and expertise by scheduling a thorough assessment of your warehouse and other operations. There is no charge for our review of your facilities, and we will use the information gathered to ready our team should the worst happen. You can identify your business’s key personnel, so we know who to consult when a commercial water damage disaster strikes even if you are not always available. Details such as warehouse layout and the location of utilities, important documents, and priority areas within your building clarify and order the restoration and mitigation tasks needed to be completed, ensuring our team of water damage restoration technicians are “Ready for whatever happens.” Our staff will take photos and scope out the dimensions of your warehouse to assist with our post water damage work. Locally Owned and Ready for Any Job! 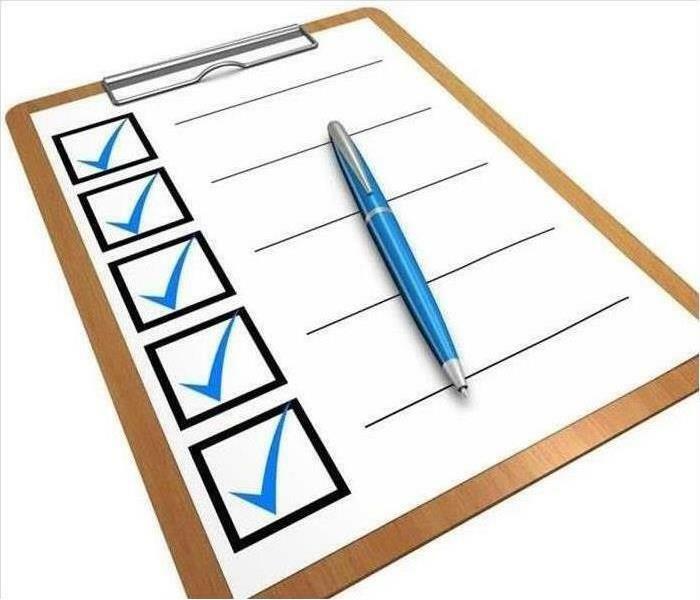 Although best case scenario you will never have to use your Emergency READY Profile, preparedness is key to ensure efficiency when the unexpected happens. So, give us a call today at (770) 858-5000! Don’t delay, let your local SERVPRO help you prepare today! 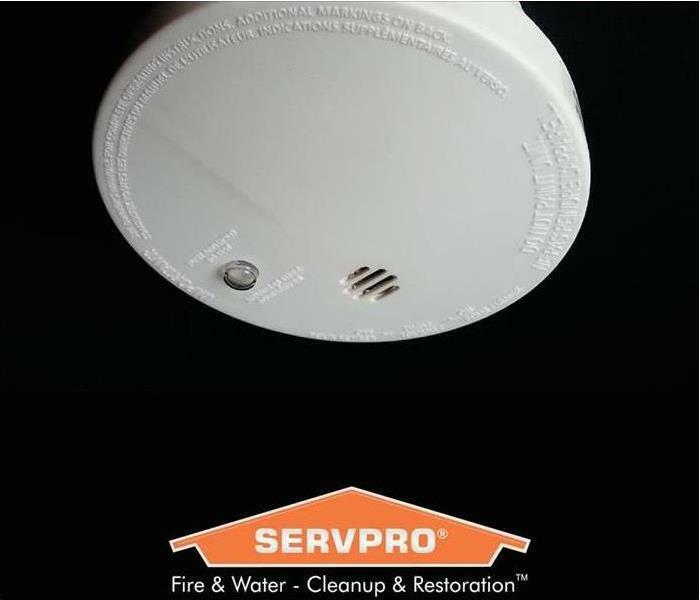 SERVPRO of Norcross specializes in the cleanup and restoration of residential and commercial property after a fire, smoke or water damage event. Our staff is highly trained in property damage restoration. From initial and ongoing training at SERVPRO’s corporate training facility to regular IICRC-industry certification, rest assured our staff is equipped with the knowledge to restore your property. Did you know that flooding is the most common natural disaster? Here in Georgia, we are no stranger to floods. The sky grows dark; the ominous clouds roll in. You see the wind tousle the branches in the trees. The lightning flashes, thunder rumbles, and the next thing you know you hear the rain hit the roof of the house. You listen to the rain get heavier and heavier. You watch the water accumulate across your property and then, what seems like a split second, the water in now intruding into your home. 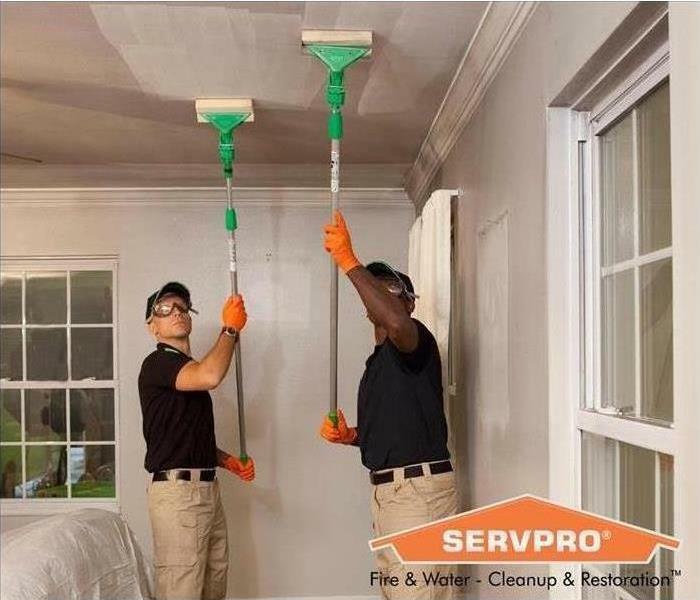 Take the measures to prevent additional damage to your home or office, then call SERVPRO of Norcross to properly take care of the damage that has already been done. We have a team of highly-trained professionals who have been helping our community recover from water damage from flooding! Let us help make it "Like it never even happened." In the past few months alone, our area has been impacted by a lot of storms and heavy rain. While we do our best to be prepared for disaster, sometimes the extent of the damage is far worse than we could ever imagine. What would you do if one night you're sound asleep in your warm, cozy bed when suddenly, the ceiling collapses because it has become extremely saturated with water? 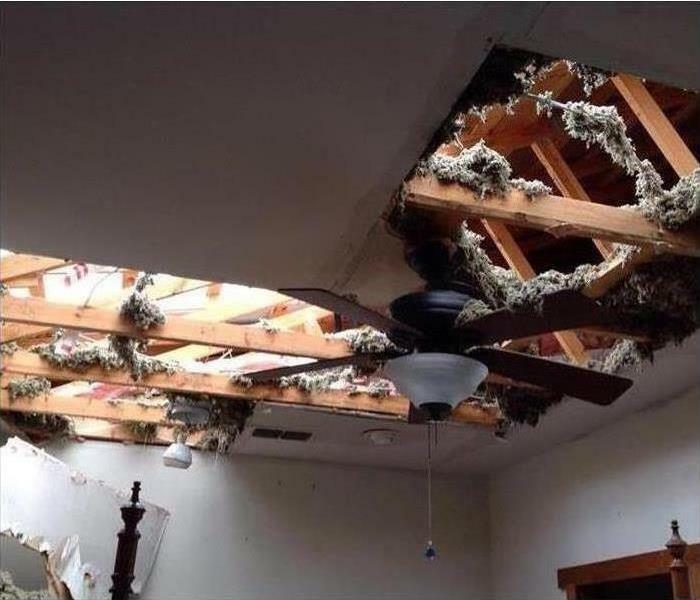 That was the reality for this homeowner after a recent storm. 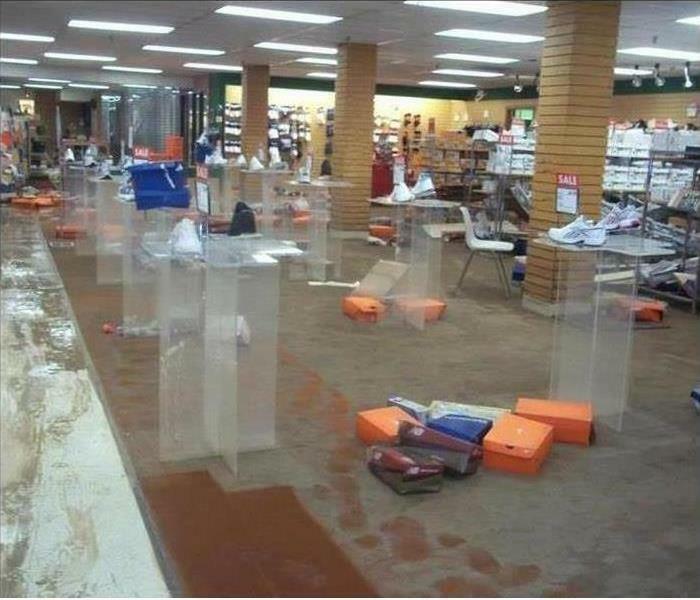 An incident like this is absolutely devastating but SERVPRO of Norcross is here to see you through to the other side; SERVPRO is here to help! No matter when disaster hits, SERVPRO of Norcross is here to help 24 hours a day, 7 days a week, every single day of the year. Rain or shine, big or small -- we are here to help make your loss "Like it never even happened." We have been serving our community for almost 15 years. Smoke alarms must be installed and maintained properly because they play a vital role in saving lives. Having the smoke alarm can reduce the risk of fire injury in half. Along with having a smoke alarm, it is best you have a fire escape plan so everyone can escape quickly and safely. Here are a few tips you need to know! Install smoke alarms inside and outside each bedroom and sleeping area. Install alarms on every level of the home. Smoke alarms should be interconnected. When one sounds, they all sound. Smoke alarms should be installed 10 feet away from cooking appliance to prevent false alarms. Clean Dust from sensor openings. 9/19/2018 - Residents: We Specialize in Flooded Basement Cleanup and Restoration!